Jimmy Roach would know. 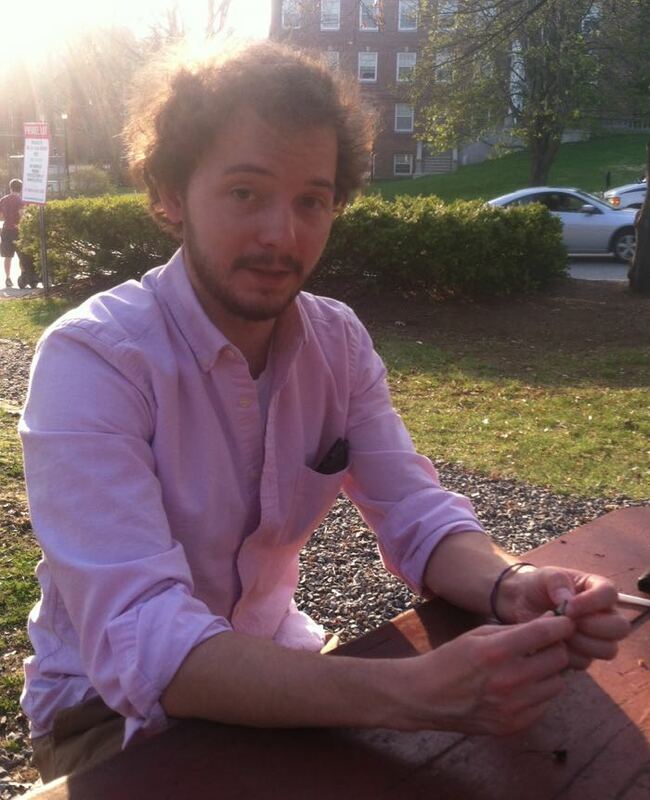 He’s an MFA student in Fiction, and is a serious underliner. In fact, he maintains several caches of miniature pencils devoted solely to this purpose–in his car, on his kitchen table, and in his computer bag. He’s always ready to put thin grey line under some deserving prose. 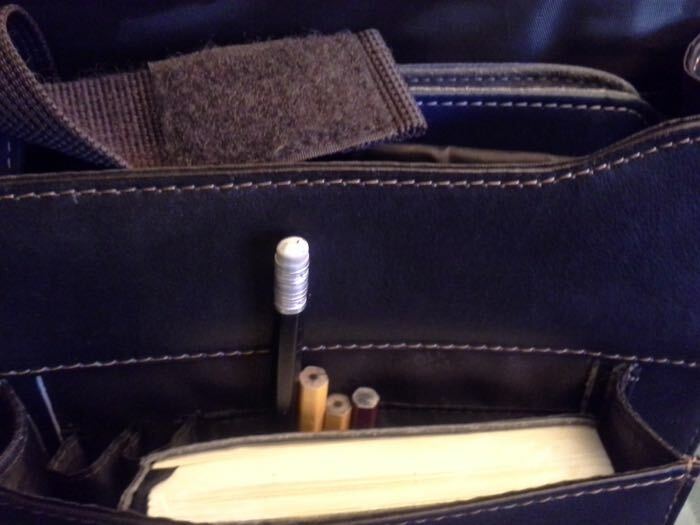 Roach will not purchase a computer bag unless it has a suitable compartment for his miniature pencils. Roach’s kitchen organizer. 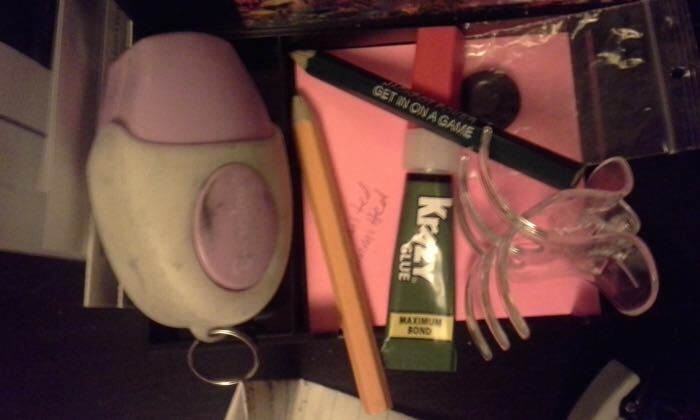 The sharpener pictured above is not suitable for use on miniature pencils. He owns one that is, but does not know where it is. During a recent chat, Roach demonstrated the way he holds his miniature pencil and book simultaneously, enabling him to switch from reading to underlining with remarkable speed. 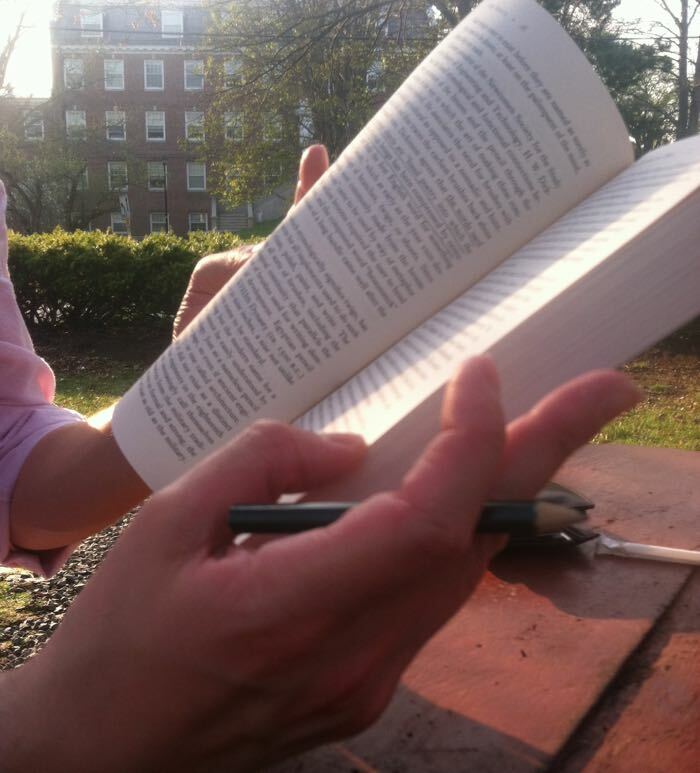 A similar dual-grip technique is used by cigarette-smoking readers. Both employ a small amount of inter-knuckle pressure to retain a short cylinder between the fingers, while the fingertips manipulate the pages of a book. Roach uses his underlining pencils very slowly. He has a very light touch, and some of his woods are over a year old, and have never been sharpened. Though he rarely needs to sharpen his miniature pencils, Roach admits that sharpening presents a special issue. “Each grind drastically changes the pencil,” he says. 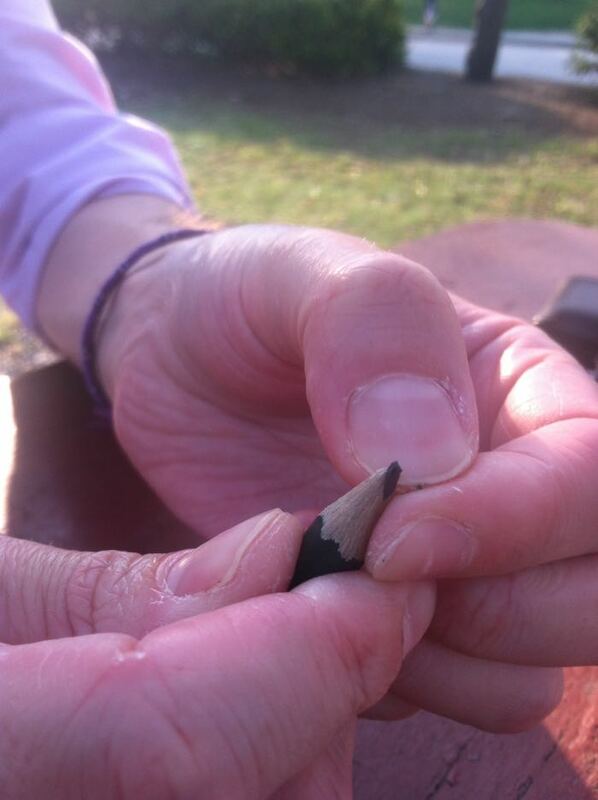 If you use a standard sharpener, you wind up with a pencil where “half the pencil is the tip.” Specialized sharpeners will re-point a miniature pencil properly, and Roach believes he may own one, but here is unsure of where it is. When he needs to sharpen one of his pencils, he picks away at the point with his thumb. For roughly a decade, Roach has worked with a small collection of miniature pencils, until, just this past month, when a friend gifted him an entire box of them. He has mixed feelings about this, and wonders if his current surplus will diminish the thrill he experiences when he comes across a new miniature pencil for his collection. He’s toying with the idea of packing the new pencils away somewhere and conveniently forgetting about them for long time. Until then, he tells me he is willing to part with handfuls of pencils to readers of this blog who would like to start, or pad, their own collection of minis. If you are interested, let us know.